This is an annotated bibliography of case studies in open access publishing from the perspective of the library as publisher and academic as editor. The Open Access Tracking Project has a tag library for the “oa.case.journals” tag (case studies on OA journals). background but does give examples of how OJS works including screen grabs. Notable quote: “What is fixed … is the amount of clerical time involved in tracking submissions, dating transactions and recording versions. 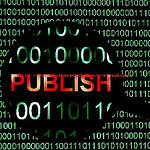 It was precisely this aspect the Open Journal Systems has been designed to take care of for the journal editor”. Morgan, T, “A content management strategy – implementing OJS and OCS at Swinburne University library”, PKP Scholarly Publishing Conference 2007. PPTs and MP3 recording available. Chew, F. et al “Open Access Web-Only Peer-Reviewed Journal for Radiology Case Reports: Development and Implementation”, PKP Scholarly Publishing Conference 2007. PPTs available.